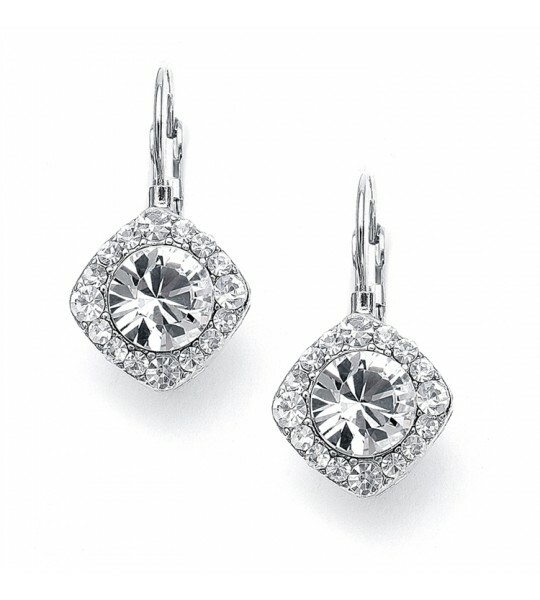 Complete your outfit with this gorgeous pair of vintage inspired crystal wedding earrings for a special look! 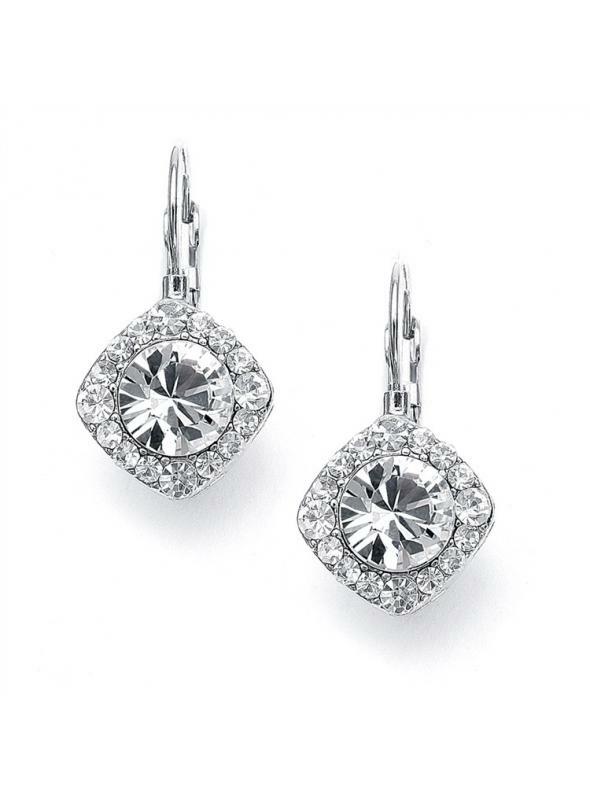 These lovely vintage inspired earrings are a top selling bridal accessory perfect for your wedding day! 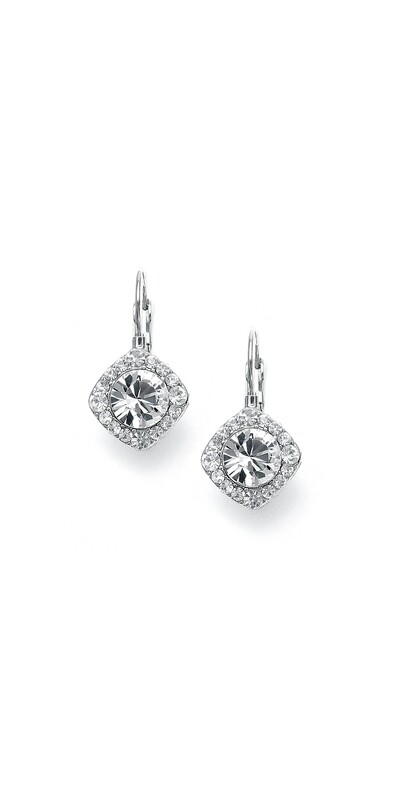 Measuring 1/2'', these lovely crystal earrings feature round solitaire crystals framed with pave crystals and are available in a variety of beautiful colors.